Thanks! Yes they are growing out of the apartment! Hopefully we'll have a house soon with more space. Are you exclusively an Ork player? 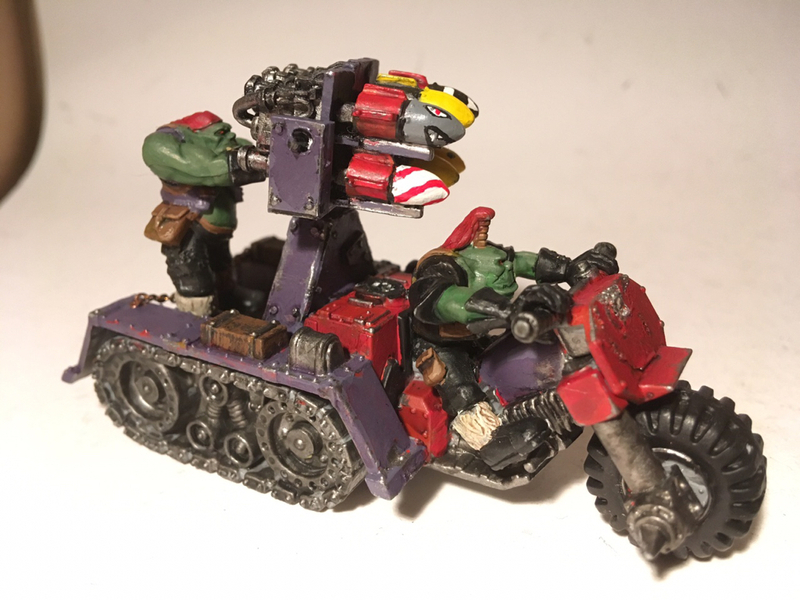 If so, got any advice for an Ork commander who's just getting back into 8th Ed.? Also, how the hell does one obtain new Deff Koptas, now that the Black Reach and Gorkamorka ones are all OOP...? No, I also have my Altansar warhost of Aeldari. But I can't give any advice regarding 8th cause I have yet to play my first game myself. Well I'm hoping for a new kit when the codex drops. Meanwhile eBay is the best bet unless you can scratchbuild them. I have seen them converted from killa kans. Just skip the legs and add the propeller on top. You could also loot other races jetbikes or small skimmers. And the Wartrakks are done! Next up will be my battlefortress! I'll do it in stages and put other stuff in between like my tankbustas and building my second deff dread. GW actually still sells metal ones at 26 euros each, which is... not a fantastic price unless you're GW. The option exists, at least? 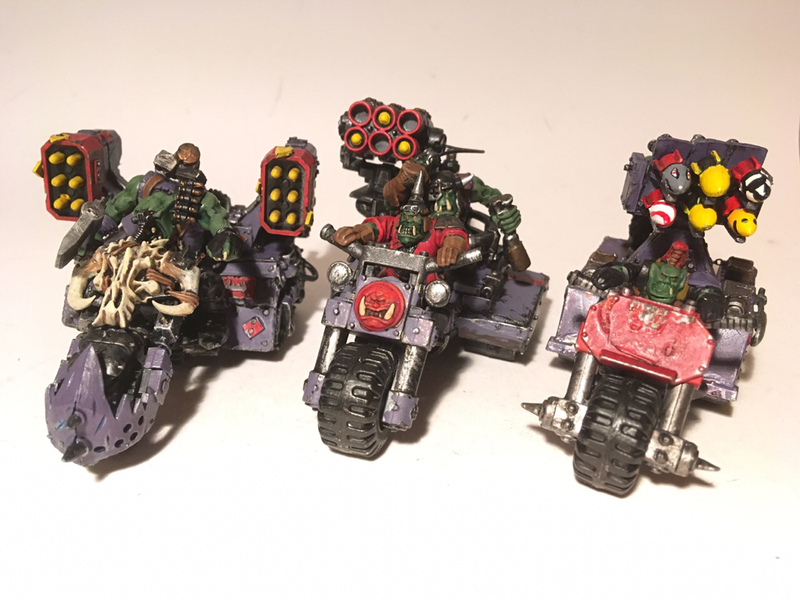 @Moriouce , Suspect it's just the lighting, but the skin on those Ork bikers looks rather flat (/unshaded). I can see the shading and highlights in other places, so... yeah. Maybe make another picture if you can? Yeah I see what you mean. I might go over then once more with a heavier wash and work up a lighter highlight. The main turret is close to completion. Washes done and just some highlights and touch-ups to do tomorrow. With this done Da Gorkaforta is 1/4 completed. Hope you like it! ...I'll turn my focus to these guys. Excellent sense of clunkiness to the turret. However - while I can see your intent - the grot hanging off the pole looks odd supporting himself by just one arm. Thanks and I ser what you meen. 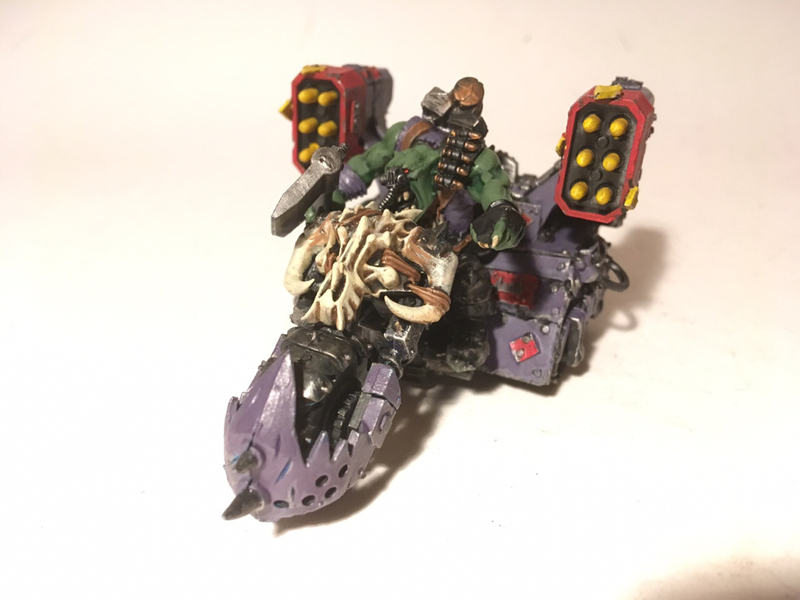 Sjuke it works for the grot to "fly" behind a warbike the speed is bot what a superheavy is known for. I think I'll lower him so he has one foot on the roof aswell. Thanks for the feedback!